Our Northern Star Council organizes day camps, resident camps, and Webelos den overnight campouts. On top of all that, Pack 151 organizes its own family day and overnight camps. Keep an eye on your inbox for upcoming Family Camp registration info. This year, we're offering a Day Camp option and Weekend Overnight Camping options. There's something for everyone at Fred C. Anderson Scout Camp on the St. Croix River. Family Camp is a Pack 151-Organized Outing. Mark your calendars: August 2 through 4. Kiwanis Cub Camp in Marine on St. Croix. I'll soon open Pack 151's registration for summer camp. If you and your scouts enjoyed the Northern Star Council's Fall Festival and Polar Cubs Camp Programs, then you'll really like this summer camp. It's the one that the boys really look forward to. Kiwanis Cub Camp (Cub Scout Resident Camp) is a Northern Star Council weekend program for Tigers, Wolfs, Bears and 1st year Webelos (as of Spring). Cub Scout Resident Camp is an opportunity for Cub Scouts and their adult leadership to spend quality time together working on advancement, enjoying recreational activities and learning about camping. Activities will be age specific based on rank-so a cub can come back to Cub Scout Resident Camp each year, and get a different experience. 1st Year Webelos can stay at camp for an extra night of camping called the Webelos Outpost. Kiwanis Cub Camp offers cabin or dormitory housing with indoor showers and toilets. Activities at Kiwanis Cub Camp have included pony rides, archery, bb-gun target shooting, swimming in a pool, boating, crafts, nature, and games. Food service is provided in a dining hall. Current Lions and TIgers can sign up for brand new day camp programs designed just for them. By the end of the day they will have earned two belt loops and completed their Let’s Go Outside achievements along with several Tiger Scout electives. They'll also have time to explore camp and do fun activities like swimming and archery! Tell your Lion or Tiger Cub Den Leaders that you're interested! Tiger Den Days is a Northern Star Council- organized program. Webelos I and II have an another summer opportunity in addition to attending Cub or Webelos Resident Camp, it’s called ‘Webelos Adventure Days’, and is located at Phillippo Scout Reservation and Stearns Scout Camp. 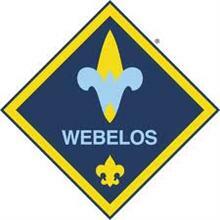 Webelos Adventure Days are an opportunity for Webelos to earn Activity Badges and other advancement. Choose from two different sessions to attend. Scouts can earn up to two badges each day. On a Day A, they can choose from: Aquanaut, Readyman, Scientist, Naturalist or the Leave No Trace Award. On a Day B they can choose from: Engineer, Forester, Geologist, Showman, or Fitness. The two different days that they can attend are offered throughout the summer. Attend just one day, or both days! Webelos Adventure Days costs $30 for scouts and $10 for adults (both fees include lunch). Tell your Webelos Leaders that you're interested! Webelos Adventure Days are Northern Star Council- organized programs.